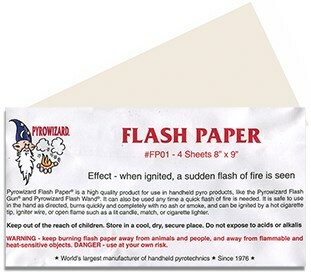 Flash Paper Sheets - 4 sheets 8"x9"
Ideal for use with almost any flash gun, wand, or other device. Contains four - 8" by 9" sheets. Community questions about Flash Paper Sheets - 4 sheets 8"x9"
Review Flash Paper Sheets - 4 sheets 8"x9"